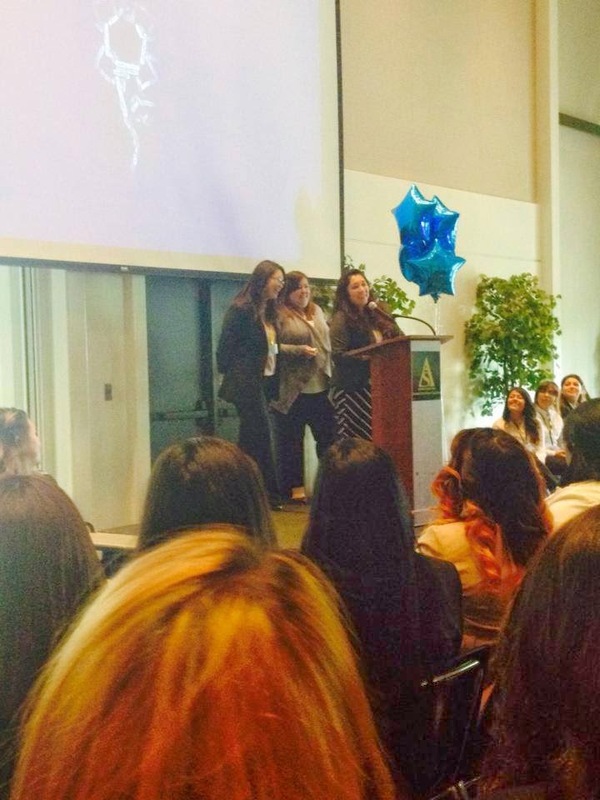 Over the weekend I had the honor of attending the 14th Annual Hermanas Unidas Statewide Conference at Cal State Long Beach. 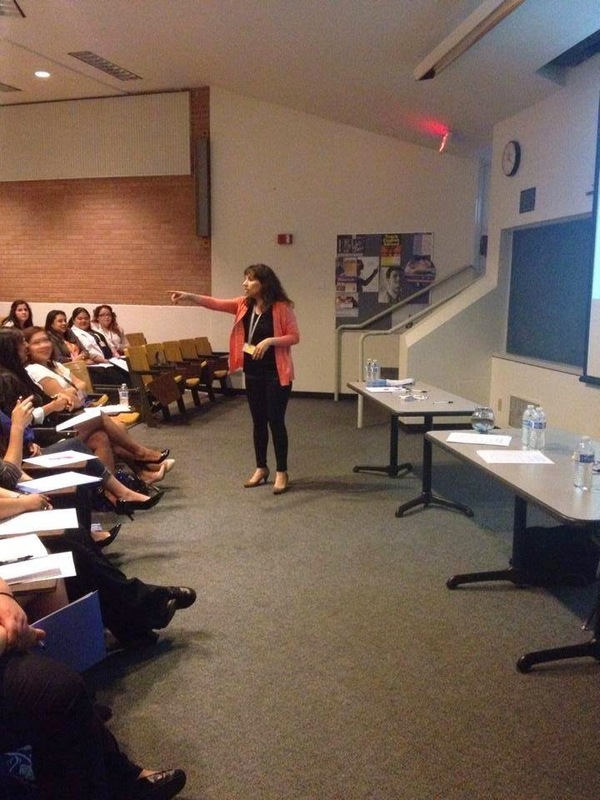 I attended as an alumni as well as a presenter. 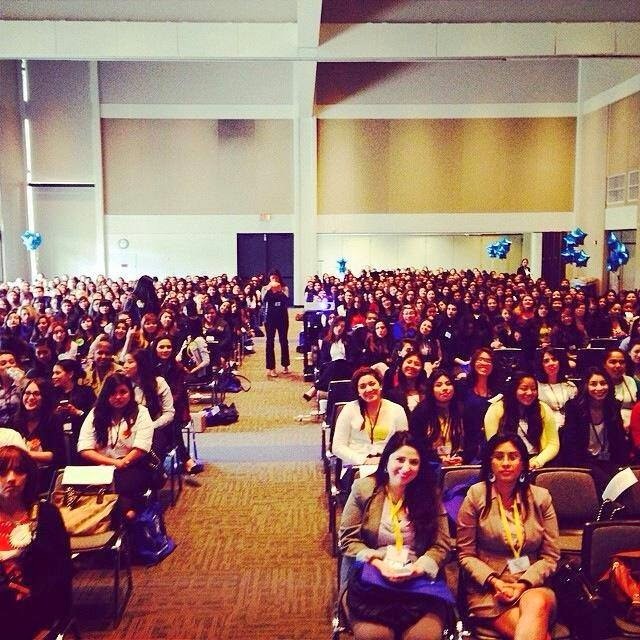 There were over 600 hermanas in attendance. This is an amazing sight. Seeing how much this organization has grown literally gave me goosebumps. Back in 1999 when myself and Vero, (this beautiful lady sitting next to me in the following picture) founded the UCSB chapter of Hermanas Unidas we were the second chapter. Today there are 19 chapters all over California. Vero and I got to participate in the founders Q&A. We each were given a questions by our UCSB's very own Sommer. They also presented us with beautiful tablet cases with the Quinto Sol Flower logo. After the opening the workshops began. 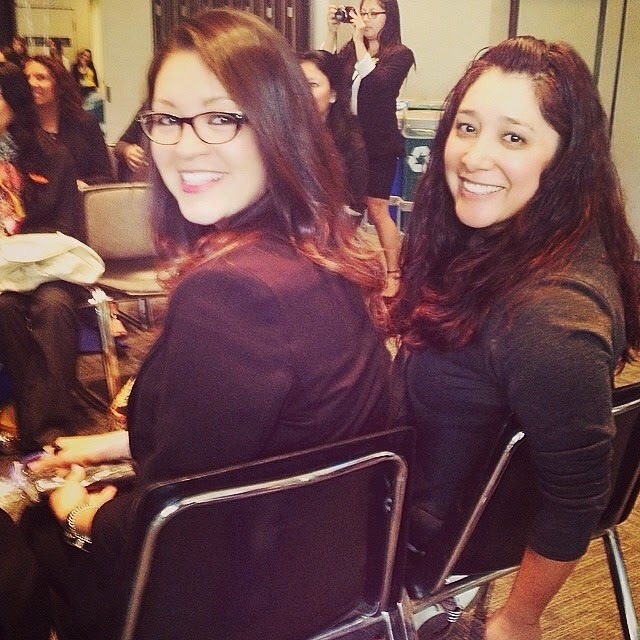 My Comadre and HerMamas.com co-editor Irene and I were presenting a 90 minute workshop for the alumni in attendance. We had worked hard for weeks on our presentation. We loved using the Google Drive Presentation option. 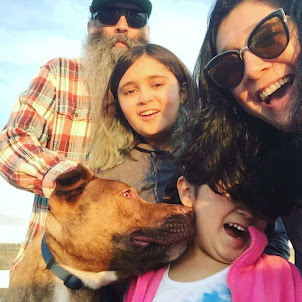 It was so easy for each of us to work individually and even together. Before our workshop started we said a prayer and dove in. All and all it was very well received. My topics were a bit out of our audiences interest so I felt like I struggled to keep my topics relevant. But my Comadre Irene! She was amazing! A real natural born public speaker. She was funny, interesting and motivating. 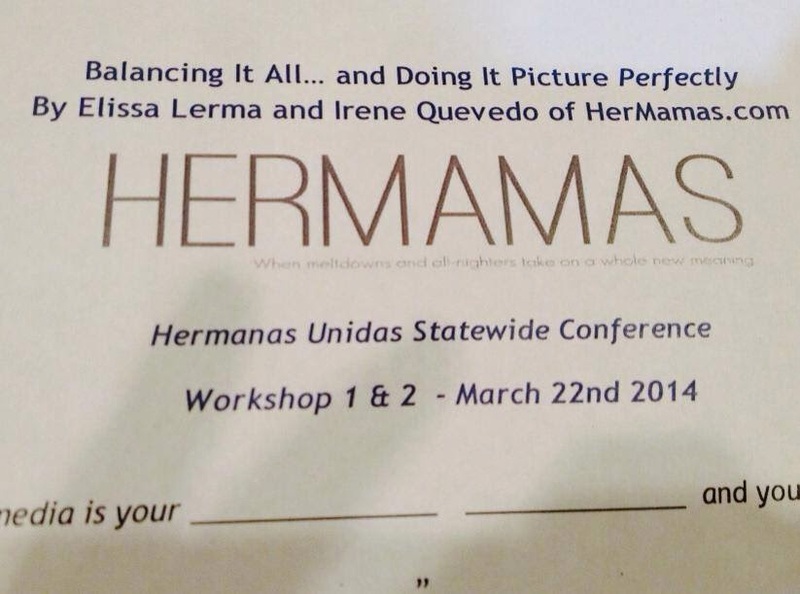 It was such a great experience and I hope the first of many speaking engagements for HerMamas!